At this point, most of us have had just about enough of winter. With the dropping temperatures, constant snowfall and drizzling mornings dampened by freezing rain, the season seems just about endless. Naturally, the elements have also limited our wardrobe choices- as cutesy frocks and playful pumps give way to sturdy coats and no nonsense boots. However, there’s a select group of fashionistas who are always dressed well, rain or shine, and these are our favourite A list models. If you’re wondering how to rule cold weather, take your cues from Victoria’s Secret Angels Jasmine Tookes, Romee Strijd and Martha Hunt. 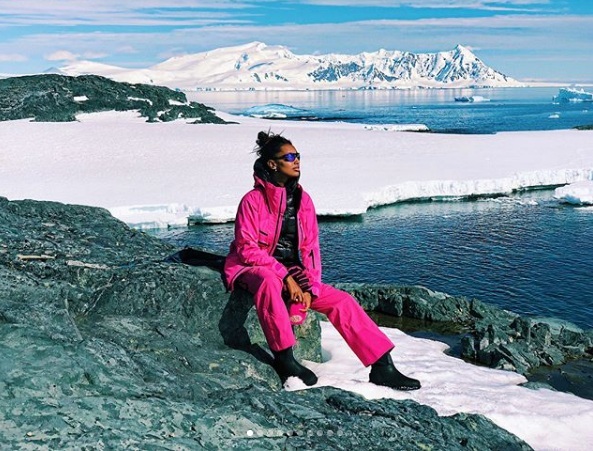 Pretty in pink: Recently, 26-year-old American beauty Jasmine Tookes explored Antarctica for a winter vacation, and somehow managed to look stylish in the wintry landscape. We are liking her bright pink ski jacket and matching snow pants, which suit her tanned complexion and brighten up the Arctic atmosphere. Leopard prints: At age 22, Dutch model Romee Strijd is a younger member of the VS Angels, but her style game has already reached expert levels. The Netherlands-born bombshell looks chic and cozy in this cream-coloured knit turtleneck, which she has paired with a leopard print scarf and a navy beret. Naturally, the wine-coloured Chanel chain handbag helps to round out her ladylike look of contrasting tones and textures. 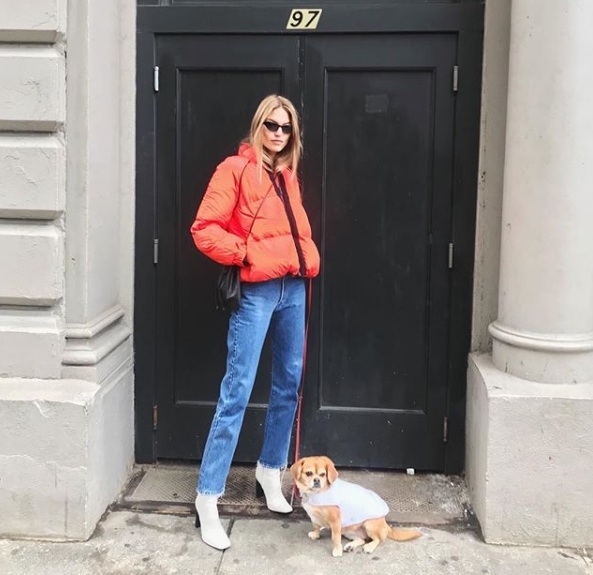 Daytime denim: North Carolina-born Martha Hunt is known for her girl next door looks and natural beauty, so this daytime street style look hardly comes as a surprise. The 28-year-old rocks a bright orange puffer jacket, high-waisted jeans and pointed white boots for a retro inspired casual winter outfit.